What would you rather watch? A match full of goals, but of questionable quality? Or a thoroughly entertaining contest that does not produce as many goals? There is arguably no right answer to this question. It depends on the kind of fan you are. 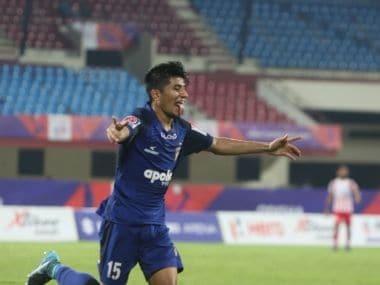 On Tuesday, Mumbai City FC and Delhi Dynamos played a match that saw six goals, four more than the Dynamos' last match at the Jawaharlal Nehru Stadium against NorthEast United FC. But there were 12,000 fewer people in the stands for Tuesday's match than the NorthEast encounter last week. Of course, the fans couldn't have known how the fixtures would pan out. But it seemed appropriate that the match had a significantly lower turnout. The Nehru Stadium is a vast space, where even 15,000 people can seem inadequate; there are lots of empty spaces with patches of vibrant human life. In a way, it was symbolic of the match that was played out before them. The moments of quality were sparsely located; the highlights of the match were Mumbai's first and third goals. That may seem a strange thing to say, especially considering Dynamos rescued a point in dramatic circumstances. With the final quarter to be played, the hosts were trailing 1-3. In the situation that Gianluca Zambrotta's men found themselves in, one point gained felt like three. There was despondence all around when Mumbai restored their two-goal advantage. But the comeback ensured Dynamos remain one of only two sides — Atletico de Kolkata being the other — who're still unbeaten in this season's competition. However, it would not be a fair representation of the encounter if one contended that Dynamos deserved the point they got. Two of their goals were highly contentious. While Zambrotta expectedly chose not to dwell on it, Mumbai City's manager Alexandre Guimaraes evaded controversy. "Pictures speak louder than words," was the Costa Rican's succinct summation. Indeed, they do in this case. For Marcelinho was clearly offside for Dynamos' first goal, before he set up Richard Gadze for the tap-in. Later, Gadze earned the penalty for the hosts' equaliser. But he went down far too easily after a challenge by Gerson. 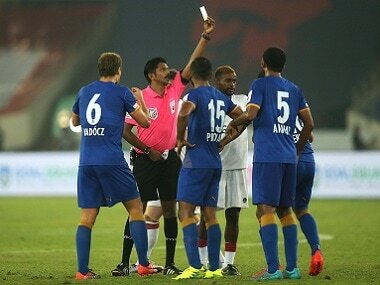 It was a dodgy decision by the referee and one that must have pricked Mumbai City FC. Dynamos, of course, will happily draw from the pot of luck. But if their performances do not improve soon, fortune may be in short supply. Some responsibility for the Dynamos' insipid display was down to Zambrotta. The Italian admitted his team had been prepared poorly for the match. He felt the side's insistence on passing the ball sideways hurt their chances. The need of the hour was to push the ball up and circulate it quickly. To his credit, Zambrotta acknowledged the issue at half-time. The formation was changed in the latter period, from 4-1-4-1 to 4-4-2. Badara Badji played with Richard Gadze for the first time in a partnership up front and the duo combined neatly for Dynamos' second strike. It was a rare moment of coordination on a night when much was left to be desired. Dynamos' biggest problems were not made explicit by the goals they conceded. In fact, it was more about the mistakes that appeared throughout the night. They may not have contributed directly to the goals, but they caused a general sense of unease. Perhaps, it all started before the kick-off. Despite being pleased with Dynamos' display in the previous match, Zambrotta rang in the changes for the contest. No less than four alterations were done. Florent Malouda found a place in the side again as the metronomic presence of Marcos Tebar was benched. More crucially, centre-back Ruben Gonzalez was replaced by Ibrahima Niasse. The other two changes were also made in defence as left-back David Addy and goalkeeper Soram Poirei came in to make their season debuts. 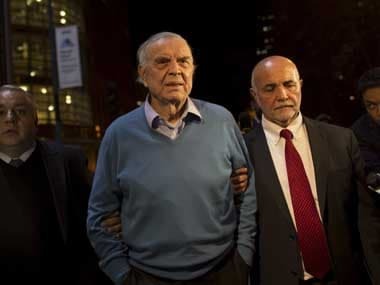 His decision to remove Gonzalez evoked surprise. Although the Spaniard put in an error-strewn display against NEUFC, he remains one of the better players in the squad. It only made matters worse that his replacement Ibrahima Niasse turned out to be a lumbering presence. It did not help him to be in the company of Chinglensana Singh, who had played as a right-back in the first three matches but found himself on the left side of a central defence on Tuesday. Although David Addy was a vibrant presence on the left wing, Souvik Chakraborthy struggled on the other flank as Sony Norde had the measure of him all evening. In light of the disastrous first-half that left Delhi 0-2 behind at the interval, Zambrotta's call to turn around his defence seems poorly thought. He acknowledged the defensive issues after the match, claiming that the backline has been unable to replicate the work done in training. Zambrotta added that the changes he made to the starting XI were an attempt to keep the side fresh for further battles. 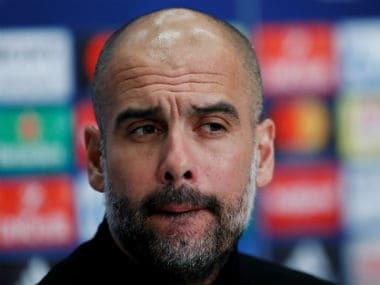 Matches in the coming days and weeks will only tell how much leeway the manager has when it comes to rotating the side. On current evidence, Dynamos are not running a huge pile of stock if one were to assess the team's bench strength. It would not be a surprise if Zambrotta returns to his strongest line-up when Dynamos play away in Kolkata on Saturday. But if it is only his first-choice eleven that can excel, it does not bode well for Dynamos. In a tournament where games come thick and fast, a side needs variety and depth in its squad to go all the way. Dynamos have enough variations to trouble opposition sides, if the first quarter of the season is a fair indicator of their ability. But are the resources deep enough? It is a question that should worry Zambrotta and his team.